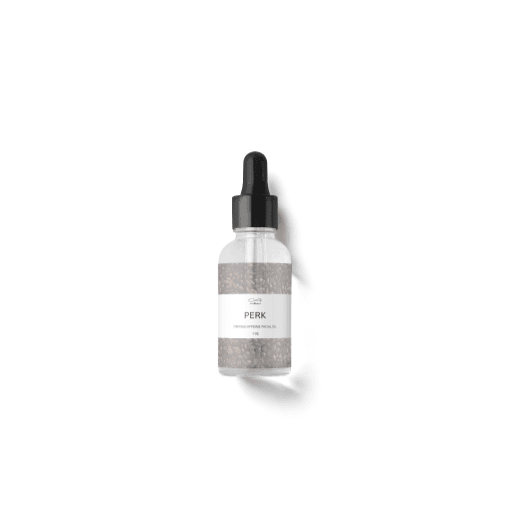 PERK caffeine facial oil: An all natural treatment for dark circles, redness, large pores, and puffy eyes. Coffee-infused sweet almond and avocado oil creates a perfectly caffeinated, moisturizing eye serum for your eye area and anywhere you'd like to see more tone. Vanilla adds even more antioxidants to this super concentrated facial oil. PERK is Everblossom's #1 selling product – it's just lovely! Shipping is always FREE. Order 2+ items to upgrade to priority shipping. CLEANSE tea tree facial oil is a super cleansing face oil with jojoba oil, sesame oil, lavender + tea tree. Perfect for clearing up broken out skin and cleansing pores! Thirsty skin? Gulp Gulp dry skin serum with Avocado oil is so thick and nourishing, your skin will drink it right up!